Around the World with Moonee Valley Brass! 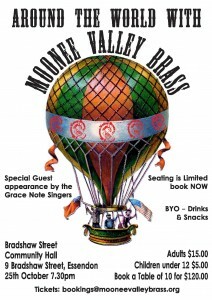 Come on a musical trip around the world with Moonee Valley Brass! Our Annual Cabaret Night is taking place on October 25th at the Bradshaw Street Community Hall. As in previous years we will be holding a number of games and activities throughout the night with plenty of exciting prizes to be won. Don’t forget your gold coins! 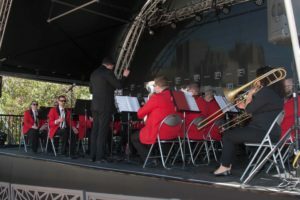 The program will include an exciting mix of brass classics and popular songs. It will also feature a performance by our special guests the Grace Notes Singers! 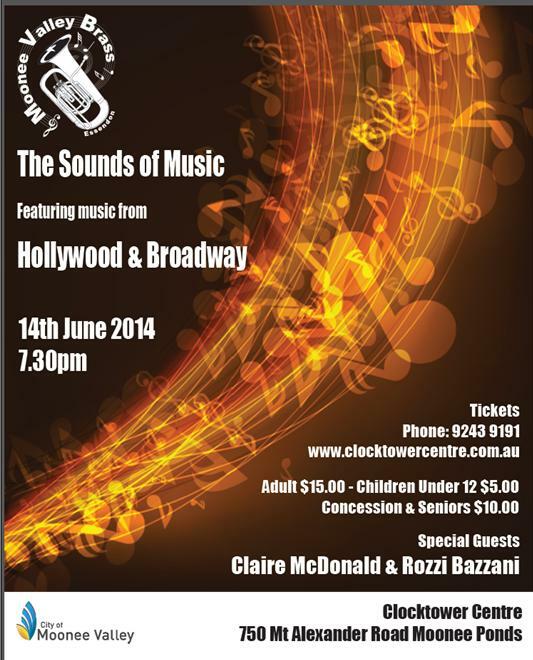 Moonee Valley Brass presents The Sounds of Music, featuring music from Hollywood & Broadway. 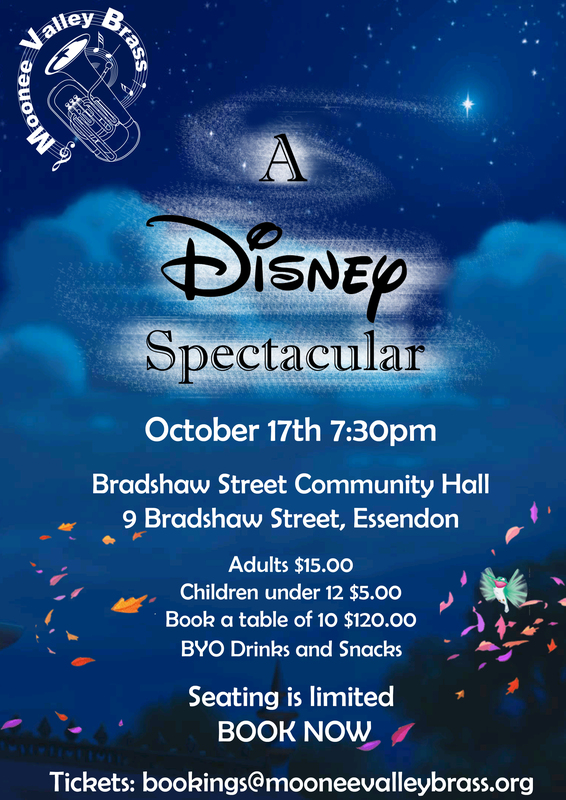 From epic movie soundtracks to the smash hits of musical theatre, join the band and special guests, Claire McDonald and Rozzi Bazzani for a great night of music! We will also be launching the two newest items from our merchandise range – tote bags and cleaning cloths – available for sale on the night. 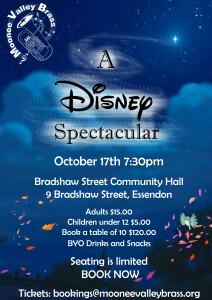 Our annual cabaret night is taking place on Saturday October 19th at the Bradshaw Street Community Hall. As in previous years we will be holding a number of games and activities throughout the night with plenty of exciting prizes to be won. Don’t forget your gold coins! 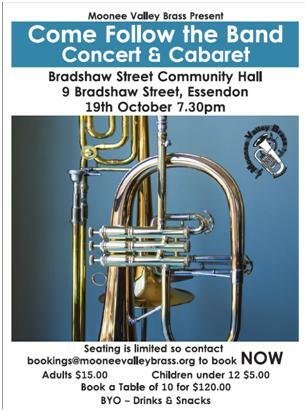 The program will include an exciting mix of brass classics and popular songs. We will also be featuring small ensembles and soloists from the band. Moonee Valley Brass is proud to announce our first feature performance at the Clocktower Centre. Thanks to a generous grant from the City of Moonee Valley, we have been able to hire the Clocktower Centre for a feature performance. The band is busy preparing an exciting program of music and hopes to see you all there! Hope to see everyone at this exciting event! A fascinating insight into life and banding during WWI.